Paging through Dash Magazine, I stopped at the last recipe on the last page for a closer look. At first glance, the feature–on ways to use canned beans–seemed average. Dip, chili, been there, done that. 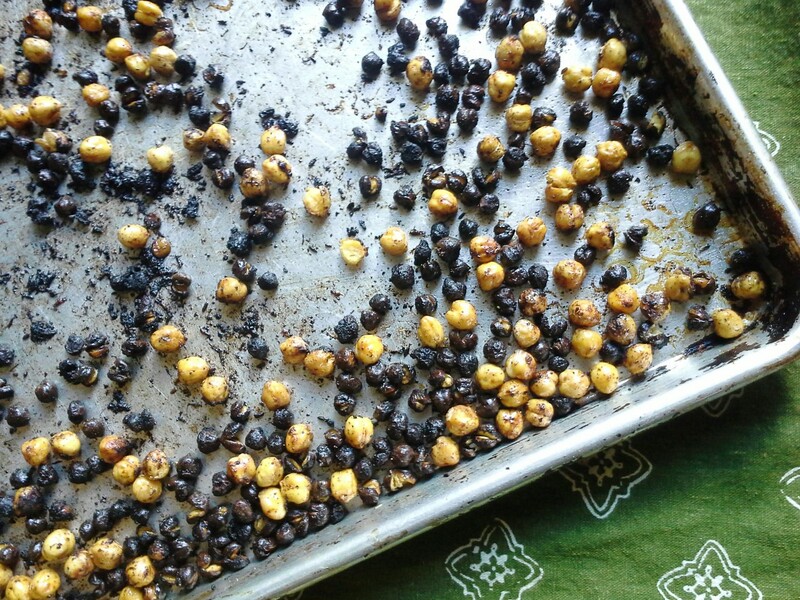 But the recipe for lime chile-roasted chickpeas got me thinking. 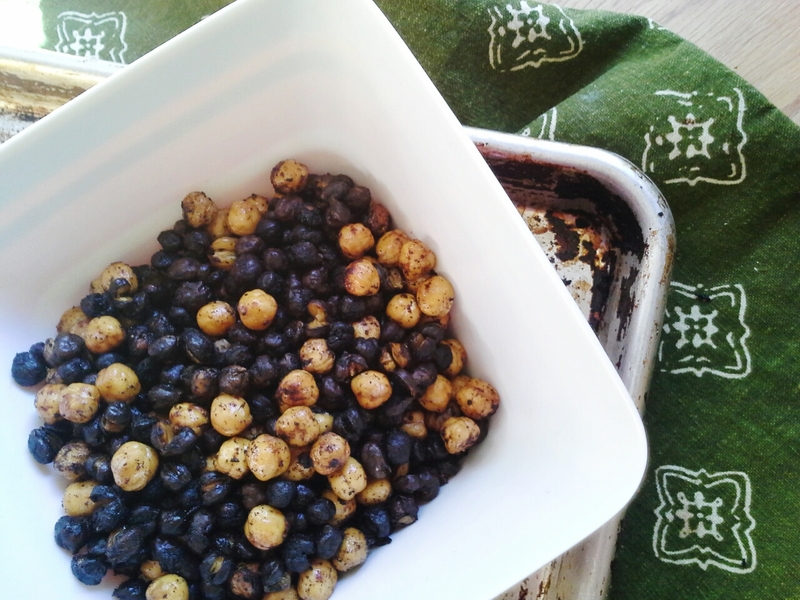 Roasted chickpeas (aka garbanzos) intrigue me as they seem a healthy way to get a crunchy salt fix satisfied. You’ve even found roasted chickpeas here before. Besides the way-better texture of beans cooked from scratch, I prefer to cook them myself for the broth. Ladling the cooking water into ice-cube trays and freezing gives me plenty of “broth” cubes for future soups, sautés, and the like. how pretty is chickpea broth? 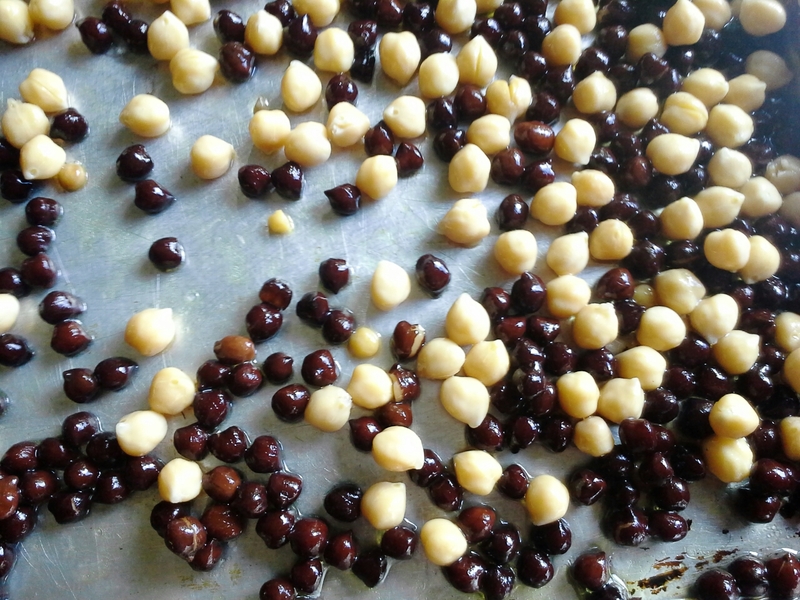 Instead of using only the traditional brown chickpeas, I also threw in black garbanzos, which I finally purchased after seeing them repeatedly here in the blogosphere. I used 1/2 cup each brown and black and cut the cayenne in half just to be safe. 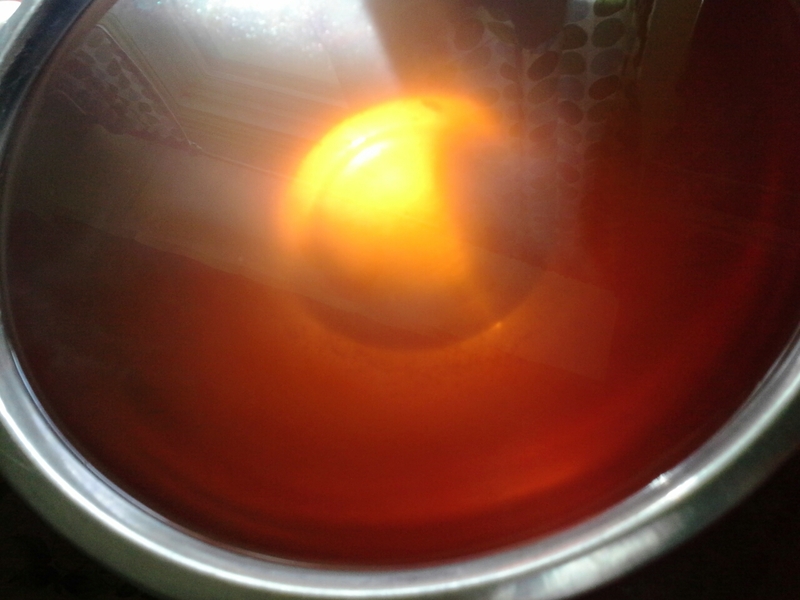 Next time, I’ll add the full 1/2 teaspoon as the heat was less intense than I’d expected. Once the dish was done, I realized I had a snack perfect for a Halloween party as it looks a bit messy and dark. Pebbles and dirt anyone? Candy corn stir-in optional. Ready to be gobbled by grown-up gobblins, ghosts, ghouls, etc. These look WAY more appealing than eyeballs and brains! I have never heard of black garbanzos before!! I need to find myself some! And here I thought I was the only food blogger who didn’t have a bag in my cupboard! I found them at a spice shop, though thinking they’d be available in co-ops and Indian markets. ?? Too much fun–you will enjoy playing with them, I’d bet. I love it when you write dirty (chickpeas), Liz. This does look very appetizing for a Halloween snack. And I thought my favorite chick pea destination would forever be hummous. bahahaha–you are funny, Mark. Hummu(o)s is a different animal altogether, and still delish. These just answer a different texture craving. They would be great snacks as they wouldn’t mess with blood sugar so much. It’s all about the protein. Thank you for looking out for my blood sugar, Liz. 🙂 The texture you mention is pop-a-snack-like (chip-pretzel-triscuit? ), and I think I too would enjoy the turned-up fire that you mention, too. Really wonderful, I have never heard of black garbanzo’s but I love how this looks and it really does sound wonderful. I just love chickpeas. this has your name all over it, Suzanne, as I’d bet you’d have fun tweaking it to your own tastes. And no chopping 😀 For sure you can find the black garbanzos. If they’re in shops in the Midwest, they’re almost mainstreamed, lol. This reminds me of moros y cristianos (black beans and white rice) because the Moors were black and the Christians were white, I believe. Nice contrast. KSBeth did a color post this week, in which she named gingerline as a color, and that should describe your broth. Also, my husband has fallen in love with our pressure cooker over the past few months. He used it last night to make some take on posole–a beef or pork stew–but mercy, does it squeal/hiss/whatever it does. It’s hard to focus on WordPress when that thing gets going. Hey Kerbey, please pass me a leftover little dish of that posole, please and thank you. Wasn’t it worth the squeal/his/whatever of the pressure cooker? Yes, I just had another bowl of it–even before 11am! I am with Mark that I would like some of that posole, squealing and hissing be darned. I used the pressure cooker again already for a soup. Glad to have it out of the dark corners of the kitchen. Must get over to Beth’s blog again. I’m bad about keeping up with her which is bad because she is good. Gingerline, you say? Indeed. She had all sorts of colors I’d never heard of. I have never heard if black garbanzo beans. I am quite intrigued, I do eat a LOT of beans! Funny you mention dusting off your pressure cooker, I don’t have one but am seriously considering getting one, mainly for cooking beans. I also prefer dried beans for many reasons….texture being one. A pressure cooker would make my life easier! A pressure canner is also on the list, then you are able to can your own beans, bean soups, cubed pumpkin etc. Anyway, I got distracted. I have made roasted chickpeas a couple times and never liked them. I think it is because it is too humid here and the texture is just not what I want. Your version looks and sounds delicious! A pressure canner sounds like fun and it would be perfect for your large garden harvest! Interesting about the soggy chickpeas on your end. You’re roasting high and long enough? (am sure you are) Also, using from-scratch beans helps keep it drier, though sounds like you have that covered as well. Hope you get what you’re looking for eventually! Thanks, Tasty! Have already used some of the broth in a soup, which I cooked up in the pressure cooker again. Seems fall is here. Roasting chickpeas take chickpeas to a while other level, Hey? That’s exactly it, Sophie–it takes them to another level 🙂 Thanks for coming by! Lovely recipe, I can so see myself being addicted to these with the limes and chili spice – slurp! 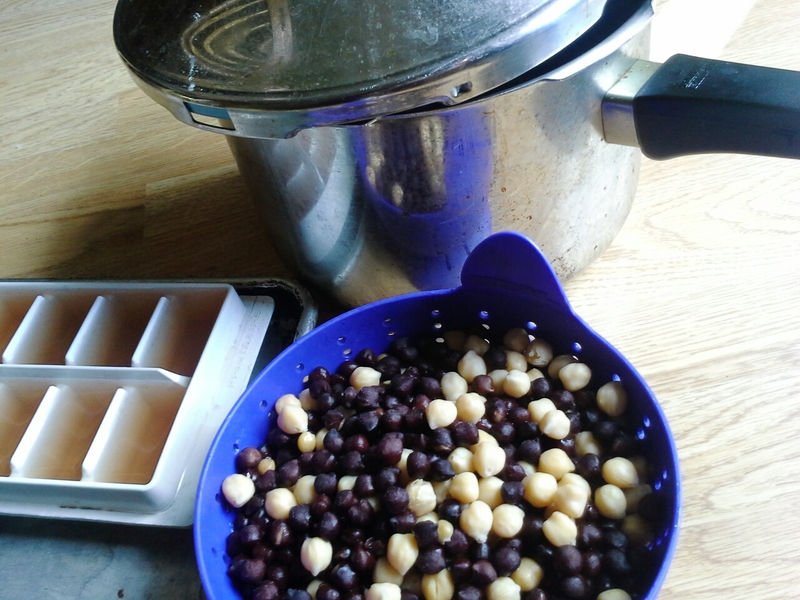 I have not attempted to make chickpeas in a pressure cooker before. You make it sound easy enough to do. No more canned chickpeas for me 🙂 Thanks for encouraging me to use the pressure cooker for these babies. Liz, these look good and like something I can totally manage!! I have never heard of black chickpeas either and digging that two-tone action you’ve got going on! Could you use something entirely different if the cayenne is just not your thing (it’s so not for this wimpy one!) ?? Parmesan? Some kind of bbq flavor? Hmmm….will have to ponder! Go ahead and switch up the flavor as you wish, Bon 🙂 And lol, there was no fire in the kitchen when I made it, so you’ve got this one for sure. The two-tone was a bonus for sure. That’s the thing about having a well-stocked pantry–never know what you’ll come up with! And p.s.–not remembering if you like bourbon, but if you dig just a few posts back, you’ll find lots and lots and lots of bourbon. Missed you! Yours turned out much better. Too bad I don’t have a pressure cooker. ooops, not a good adventure, Jenny (the severe burning part). I’d put a pressure cooker on your list if I were you as you’re so into cooking healthy foods such as grains and legumes. You would use yours plenty and I doubt they’re that spendy. Smoked hummus sounds fantastic! See, it always works out. halloween is slowly becoming a thing here in Australia but I know I would much rather eat these than try to guess what they were in a haunted house! Or one of the many haha – yours look fantastic! Thanks, CCU. Am with you. I like them roasted better than cooked in salads or pureed into dips. More snack-y that way. Have you seen the chocolate-chip cookie recipes that contain canned chickpeas? They’re not bad so much as I just don’t like the idea. Too hard to wrap my mind around. Cookies aren’t supposed to be good for you! Yes, put that pressure cooker on your wedding registry. It’s so good for cooking up dried beans and also grains quickly. Good to see you! Oh, dear. I thought I could get away with the reblog this week. May I direct you to the food for fun archives? The little pony cake is worth a laugh. 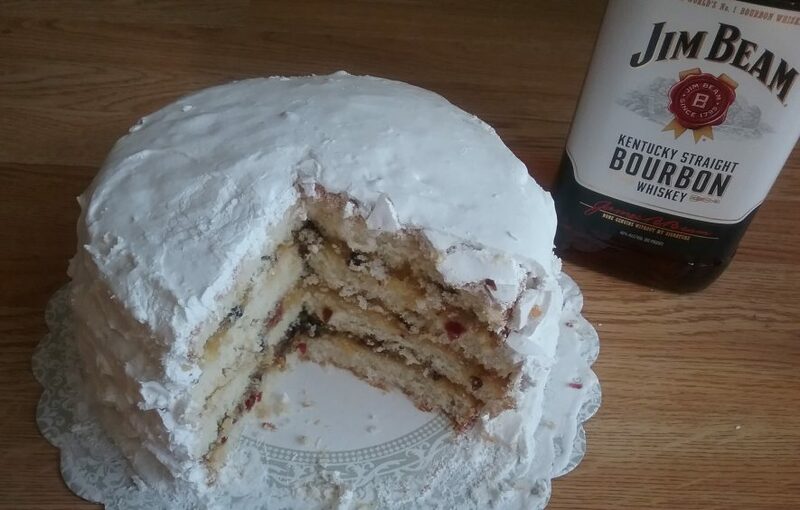 (google birthday cakes) and there’s plenty in the bourbon and marshmallow categories, too. Appreciate your enthusiasm! Will see you over at your place or Kerbey’s later? OK, you are pardoned, Liz. 🙂 Thank you for the steering instructions before I skid too far. I wish I had an ounce of your cooking talent (or inclination) – so many of these recipes look positively delightful! I think I saw “Bourbon Brittle” on here a few days ago. Such a magnificent concept! It’s definitely more inclination than talent, Dave. I mess up with the best of them and lucky me that messes can be delicious 🙂 For sure I’m going to be allowed to make mistakes more often than you will in your chosen career 0-: Which means we’ve chosen well as I see you doing well in an exacting sort of profession. Me? Not so much, lol. (Though I am an editor, which means I literally have to cross t’s and dot i’s.) As long as we’re having fun, yes? Thanks for coming by! Wow, these look great! Also love the idea of freezing broth in ice cube trays – brilliant! Would you make these again? Hey, HotDish. Somehow comments seem to slip by me–sorry to leave for so long. Yep, I’d make these again. In fact, craving now 🙂 Always glad to see you here. You are SO smart. I have always roasted chickpeas solo. They were missing out. 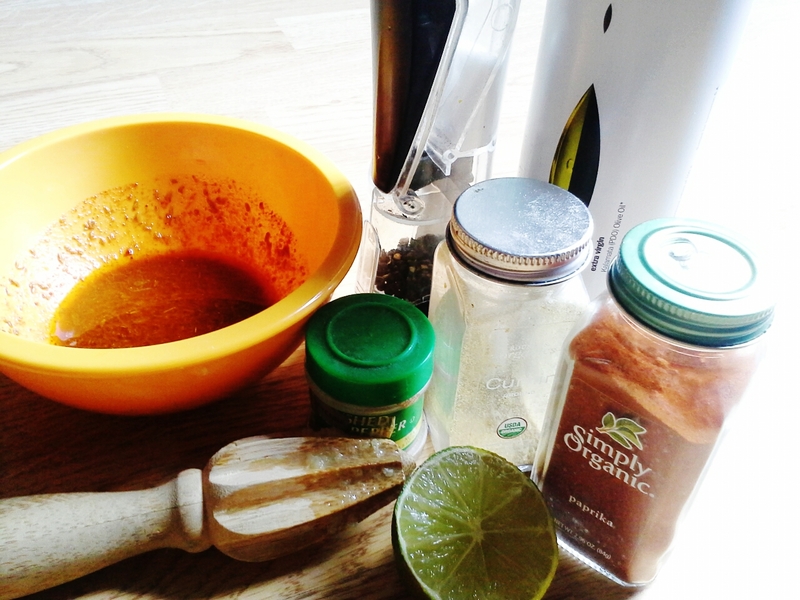 Love the spices and lime here!!! 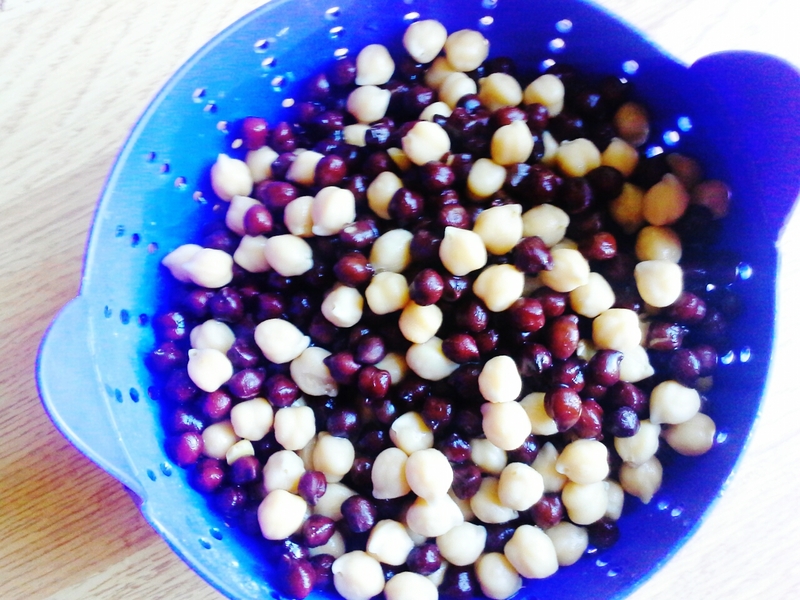 My kids LOVE beans, beans, amazing fruit!